If you are an advanced or intermediate SQL Server developer then this is the book for you. Adam understands real world scenarios and understands that databases are part of a bigger group in the business world. The database is usually the most important asset in an organization. All your data is in the database, you need to secure it, this is where encryption, privilege and authorization comes in. The ratio of web servers to database servers is usually many to one, it is easy to scale out with web servers however with database servers this is not so easy. This is a reason why your code needs to be optimized and designed for application concurrency. 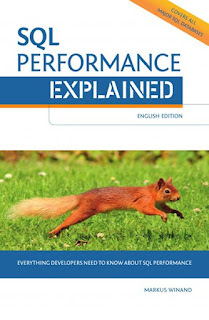 I recommend this book to any intermediate or advanced SQL Server developer. This book is not a book that is like the other book you have but 2 chapters are different. NO, this book contains a lot of good info which is not available in other books. I learned a lot from reading this book and you will too. Here is the breakdown of what is covered in the chapters. Adam explains what Cohesion, Coupling and Encapsulation is, where the business logic should live and the balance between maintainability, performance, security and more. This chapter explains what impersonation and ownership chaining is. Also covered is how to use EXECUTE AS and how to sign procedures. This chapter will explain encryption to you in a clear and concise matter. You will learn how to improve performance by using Message Authentication Code. The difference between symmetric and asymmetric key encryption is covered as well as all the terminology that is needed to really understand encryption. You want to protect your data? Then this is something you have to read. You will learn how to deal with sql injection, why sp_executesql is much better than exec and the performance implications of parameterization and caching. If you are running an OLTP system and you are suffering from blocking/locking then this is the chapter for you. Isolation levels and how they affect concurrency is explained. 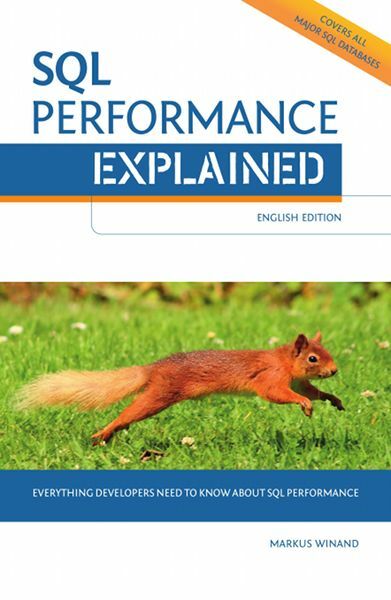 This chapter uses the SQLQueryStress Performance Tool to show you the difference it makes in performance when you slightly change your proc. Spatial data, this is what a lot of people are storing these dates, unfortunately calculating the distance between 2 points is not as easy as it seems (the earth is not flat you know ;-( ) This chapter covers a couple of ways to represent Geospatial Data. The difference between Nested Set Model, Persisting Materialized Paths and Adjacency list Hierarchies are explained. There is code included that shows you how to traverse up or down the hierarchy, insert new nodes and much more. There are 3 SQL Server 2005 books that I have that are written by the authors mentioned in the title of this post. Okay there are realy more authors but these are just the main authors. The first book that I have to write a review for is Pro SQL Server 2005 Database Design and Optimization written by Louis Davidson. I finished the whole book and learned a bunch of new things. The second book is Inside Microsoft SQL Server 2005: T-SQL Querying written by Itzik Ben-Gan. I did not finish the whole book yet but I can tell you that the book is well worth your hard earned money for chapter 6 and 9 alone. And the third book is Expert SQL Server 2005 Development (Expert) written by Adam Machanic. I have read 3 chapters so far but like what I see. This book is not out yet it will be published on May 26th 2007. I will have an interview with Adam and in a week or two on this blog and he will tell you who the book is geared towards to and more. If you are into Google maps/Live maps/Yahoo maps mashup and have to work with spatial data then you are in luck, this book has a whole chapter on spatial data just for you. Show 6 with guest Itzik Ben-Gan discussing the T-SQL language. In this show, well know SQL Server MVP Itzik Ben-Gan discusses techniques for using the T-SQL language to solve common problems, shows how looking at programs from a negative point of view might help and discusses the enhancements to the T-SQL language coming in the next version of SQL Server (2005). Show 8 with Adam Machanic discussing Stored Procedures as APIs and SQL Unit Testing. In this show, Adam (a SQL Server MVP) discusses advantages of using stored procedures as APIs and unit testing of SQL Server stored procedures. Show 12 with guest Louis Davidson describing his Top Ten Database Design Issues. In this show, SQL Server MVP Louis describes the top ten errors he sees being made in database design.